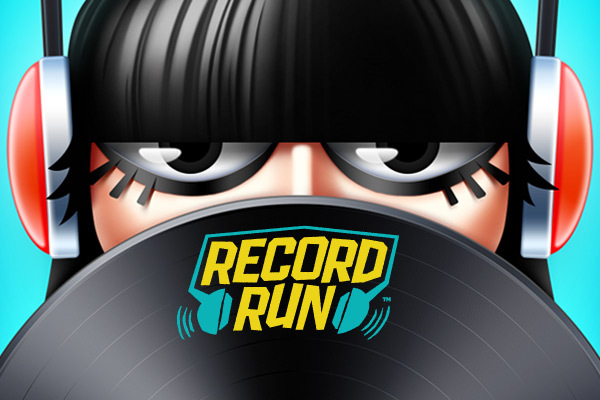 Record Run is an all-new rhythm-runner experience set to your music! Run, dodge, slide under, and jump over a variety of hazards in a bustling city, reactive to your song library. Collect records and backstage passes to unlock new content, challenge your friends to asynchronous song battles, and more in Record Run! Record Run is available for download now on the App Store for iPhone, iPad, and iPod touch and will be available soon on Google Play™ and the Amazon Marketplace. Apple, iPhone, iPad and iPod touch are trademarks of Apple Inc., registered in the U.S. and other countries. App Store is a service mark of Apple Inc. Google Play is a trademark of Google Inc.